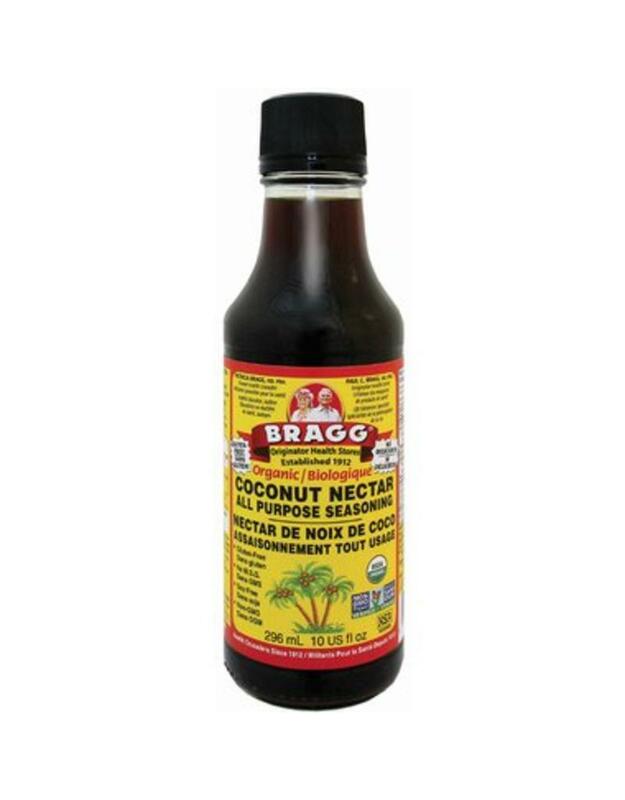 Bragg Organic Coconut Liquid Nectar is a soy-free seasoning made from organic non-GMO verified coconut tree nectar and sea salt (coconut trees in Indonesia and Bali), Bragg Organic Apple Cider Vinegar, and sea salt. A natural & organic soy-free option to traditional soy sauce with great flavor! 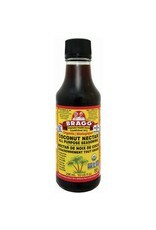 An excellent gourmet replacement for Tamari, Worcestershire & Soy Sauce. 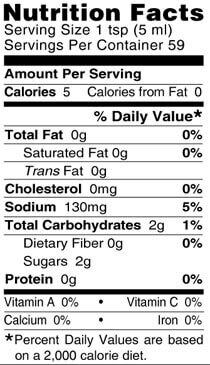 Great in Salads, Soups, Veggies, Rice and Beans, Casseroles, Potatoes, Tofu, Stir-fries, Meats, Poultry, Fish, Jerky, Tempeh, Marinades, Sauces, most foods, & delicious on Popcorn.